Well it’s nearly bikini time again; summer is on its way along with many making plans for holidays in sunnier climates. For some, the summer is a time to show off some flesh but for others it becomes a challenge to stay cool while wearing clothes that cover the bits they’re not so happy with. While some are bikini shopping, others are seeking out the kaftans and sarongs, indeed any item of clothing to hide what they consider to be unsightly bulges. For many it’s a time for pumping iron, employing a personal trainer, joining a spin class, and counting the calories, possibly even surgery, all to lose the unwanted bulges and tone up the mummy tummy, back fat and wiggly, jiggly arms before the summer reveal. If extreme dieting, exercise and surgery are not an option, and you’re looking for an alternative, then look no further we have found the answer to your prayers. In a world of ever evolving treatments and procedures it’s no surprise that Doctors and Scientists discover and develop new technology to improve patient safety and results. 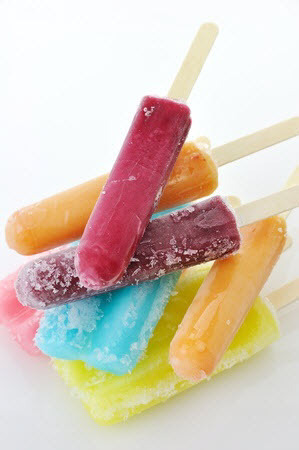 Coolsculpting was developed when scientists at Harvard University and Massachusetts General Hospital discovered that children were experiencing fat loss in their cheeks after sucking on popsicles. As a result of this knowledge, Coolsculpting was developed. Coolsculpting is a revolutionary procedure at the forefront of technology and is unique in its field as the only proven safe and effective method of removing fat by freezing it. The concept was developed by Scientists and Doctors at Harvard University and Massachusetts General Hospital and has been subjected to rigorous testing prior to being offered by only qualified healthcare professionals. Zeltiq Coolsculpting stands alone in its field as the only FDA approved, safe and effective method of freezing fat cells. Coolsculpting has freeze detect technology, the system contains numerous sensors that detect potential adverse effects including the freezing of dermal and epidermal tissue. Without freeze detect technology, skin freezing or other injury is likely to occur. Indeed there have been reports of injuries from imitation devices, the worst cases required the treatment area to be excised due to the severity of severe burns received. 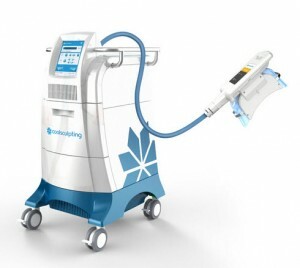 Coolsculpting stands alone as the only form of Cryolipolysis, other clinics may advertise Cryolipolysis by name or claim that the device they use is Cryolipolysis but unless their machine is a genuine Coolsculpting machine then you are being ripped off and your safety may be at risk. This technology is the only FDA approved, CE Marked Class IIa Medical device for the safe removal of fat by freezing. To ensure that the device being used is not a copycat machine check for local clinics who offer genuine Coolsculpting on the Zeltiq locator at http://www.coolsculpting.com To get beach body ready in time for the summer choose the safe, non-surgical option, Coolsculpting at The Definition Clinic Glasgow: http://thedefinitionclinic.co.uk Call us now for a complimentary, no-obligation consultation on 0141 564 1900 0141 564 1900 and get ready to show more of less this summer.